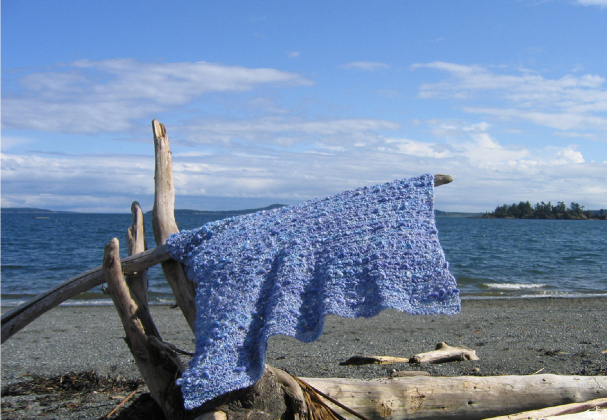 This beautiful blanket was knitted to comfort a much loved member of the knitting community on an island in the Salish Sea, where the waters of Canadian and American islands mingle. The blanket was passed hand to hand in the local shop as neighbors and friends came into knit a row or two. The knitting is simple, with the Fleece Artist yarns making the result look intricate. This is a perfect project for a group of knitters wanting to create something together. Here is the free pattern. Fleece Artist yarns can be found in local yarn shops in Canada and the U.S.—here is a list. To buy online, check here.